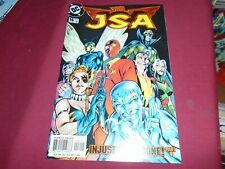 JSA (Justice Society of America) (DC Comics, 1999-2003) - Free USA shipping! Justice Society of America (JSA) #16 : November 2000 : DC Comics..
(2000) DC ELSEWORLDS JSA: THE LIBERTY FILE BOOK ONE AND BOOK TWO (of 2) JOKER! 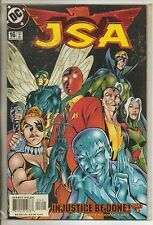 JSA #6 JAN to #17 DEC 2000 + #1 ANNUAL PLANET DC VF/NM+ BOARDED/SLEEVED! JLA * JSA : TWO THOUSAND #1 DC $6.95 DELUXE 2000 NICE!! This page was last updated: 25-Apr 07:46. Number of bids and bid amounts may be slightly out of date. See each listing for international shipping options and costs.